At very bottom you will find the nutritional information. 12 carbs and 1g sugar. Not too shabby. 1 – Heat oven to 375°F (350°F for dark or nonstick pans). 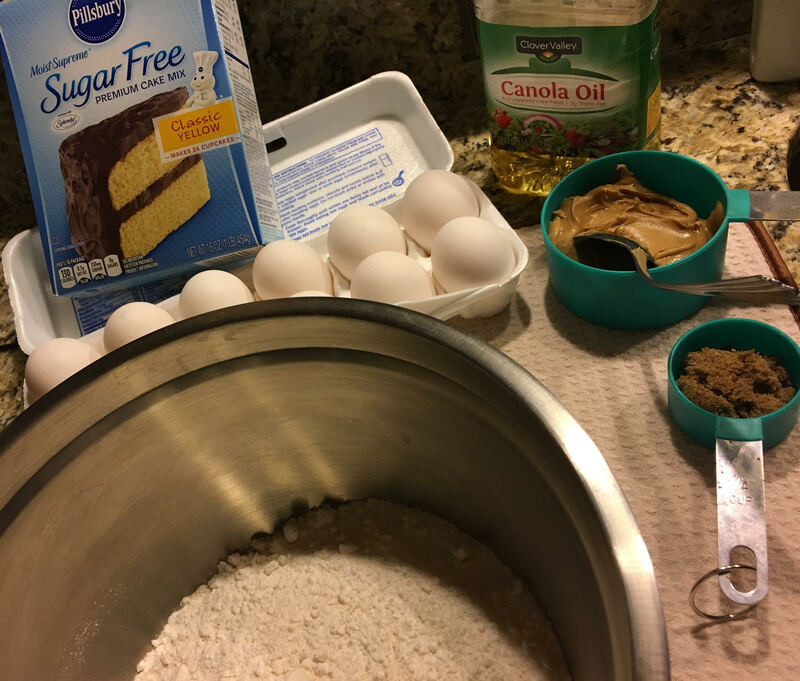 In large bowl, beat cake mix, brown sugar, water, peanut butter, shortening and eggs with electric mixer on medium speed until smooth. 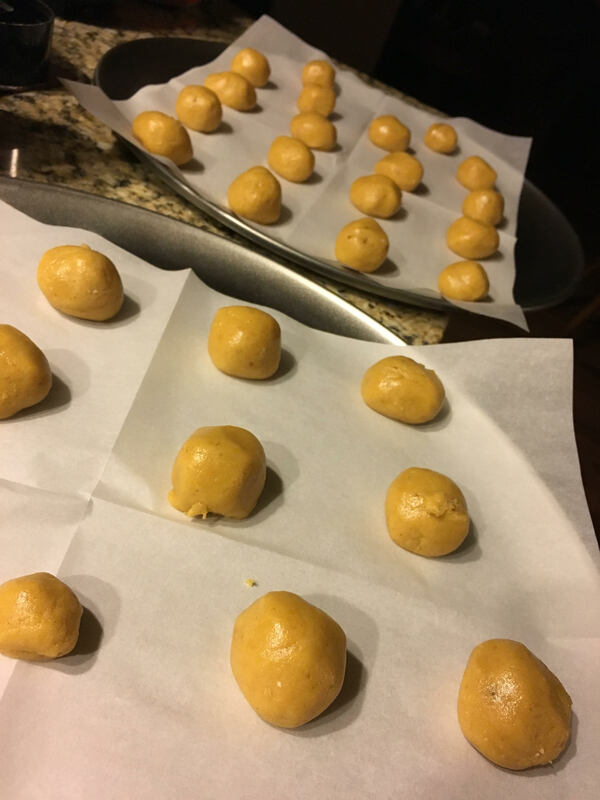 2 – Shape dough into 1-inch balls. 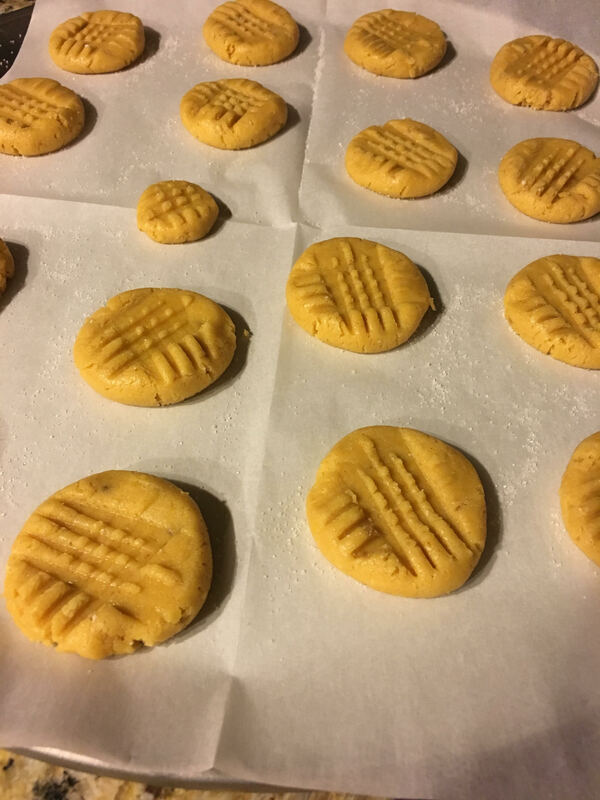 Roll in granulated sugar and, on ungreased cookie sheet, place 2 inches apart. Flatten in crisscross pattern with fork dipped in sugar. 3 – Bake 10 to 12 minutes or until golden brown. Cool 1 minute; remove from cookie sheet to cooling rack. Store covered. First set I did not do the crisscross marks on because I did not fully read the directions. DUH! 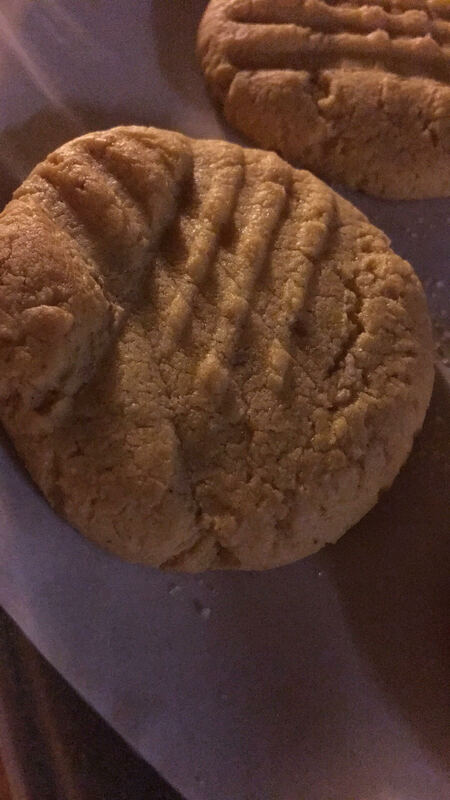 But they made really cute thicker cookies with a softer middle. Overall they turned out good. 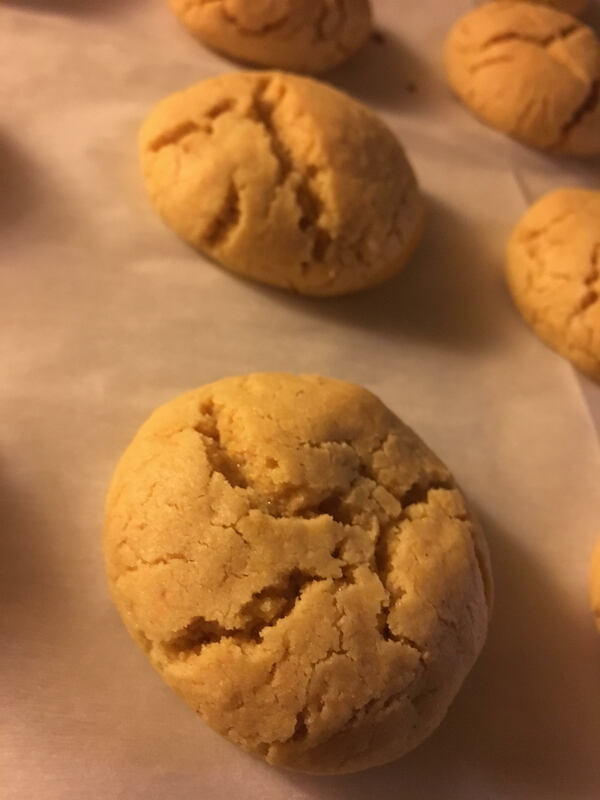 Husband thought they tasted just like what a peanut butter cookie should taste like.